As a part of the Food Hygiene Rating Scheme (FHRS), food businesses across the UK are routinely visited and rated based on cleanliness. Ratings fall on a scale from zero to five where five is very good and zero indicates a need for urgent improvement. FHRS applies to England, Wales and Northern Ireland, giving consumers an inside look at their favourite food joints. These nationwide ratings serve to educate consumers and encourage food businesses to improve their overall cleanliness. Depending on the kind of business it is, inspections vary in frequency. 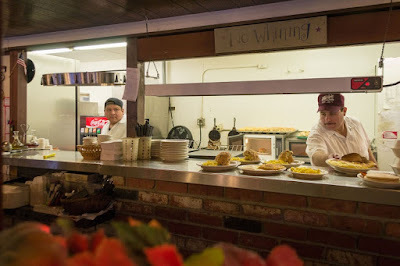 A restaurant handling raw and cooked foods may be inspected every six months while a purveyor selling pre-packaged refrigerated foods may not see an inspector for a couple years. Basically, the rate of inspection is determined by the risk factor of the business. 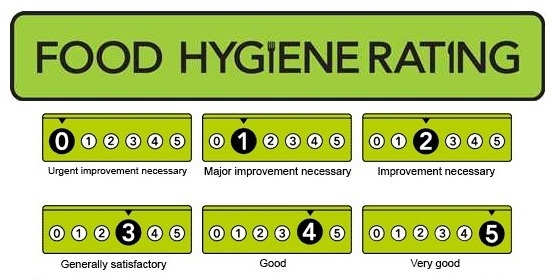 As it stands, food businesses are not required to share their hygiene rating with the public, rather “businesses in England are encouraged to display these [hygiene rating] stickers.” If a consumer is interested in the rating a business received, FSA recommends that they ask staff. Imagine walking into a restaurant and asking for their hygiene rating. Depending on how you present yourself as the inquirer, moods of the staff, and business at the moment the entire interaction could end very badly. Really, the suggestion to ask seems ill advised. Even if the question is well-received, the staffer may not know the hygiene rating with 100% certainty. This is an unreliable method at best. Rather than suffer potential embarrassment and poor service by asking a restaurant outright what their rating is, search the establishment here. New businesses or those under new ownership will have a placeholder in lieu of a hygiene rating. New legislation may be steering England towards the same mandatory requirement. NFU Mutual, an insurance agency, published its free Food Hygiene Ratings Report on 6 February. The report provides “hospitality business owners with insight into the potential impact of future legislation for compulsory display of food hygiene ratings.” Following the release, several regional newspapers across England have estimated the impact mandatory sticker display would have on their region (1, 2, 3, 4). While this may seem like bad news initially, forcing food businesses to share their hygiene rating with potential customers will encourage them to do better in future. Improvement will bring in more customers and foster a more sanitary work environment.